The Onyx kiteboard from Brunotti remains one of our favourite freeride boards .On the water the Onyx gets going really easily for a no hookups ride. Whether you are learning you first upwind tack or boosting your 20th 360 grab the Onyx will keep you entertained and comfortable for a long time. 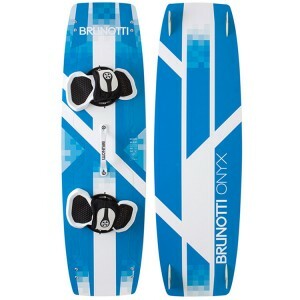 Searching for an easy ride to start your kiteboarding career? Than this is your board. 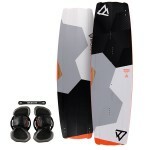 The single concave bottom shape and long square outline are especially made to go upwind easily, and have nice low wind capacities. 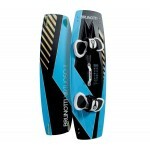 Together with the reflex rocker and cruise base this board easy to control and gives you the confidence you need to learn new tricks. 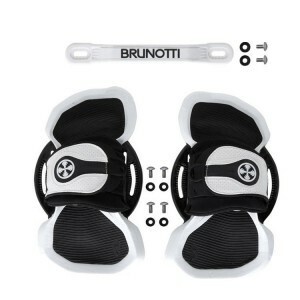 This way you will be able to learn quick and be cruising around and doing tricks in no time! 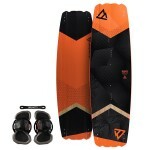 Its a great board to enjoy your first kiteboarding years and learning your first tricks. But do not underestimate this board! 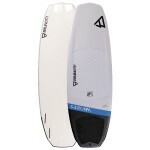 It is the best one to start off, but this board is perfectly capable off new and old-school tricks. A great board that gives you the confidence to get better, and will grow with you from you first meters until you're your first tricks!